Not far away from Mississippi river the Weatherdock logo shines next to the one of Marine Rescue Technologies, MRT. A partnership that just starts, and it grows with positivism and optimism. In the picture Alfred Kotouczek (left) of Weatherdock and Michael Ritchie (right) of MRT. 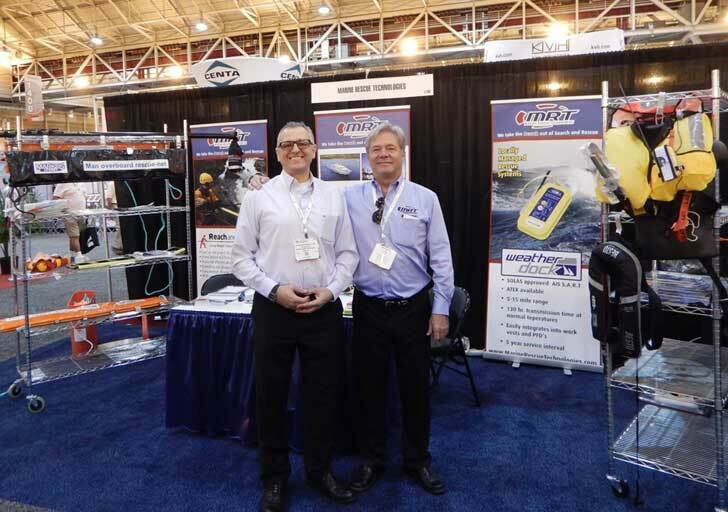 The International Workboat Show in New Orleans, 1 – 3 December 2015 is the scenery for the meeting of the two companies. This new partnership means for Weatherdock to fortify its presence in the US and for MRT means the possibility of offering in his country quality products related to their topic: Marine Rescue Security. We are pleased to establish this new contact and to open new business possibilities in cooperation with MRT.